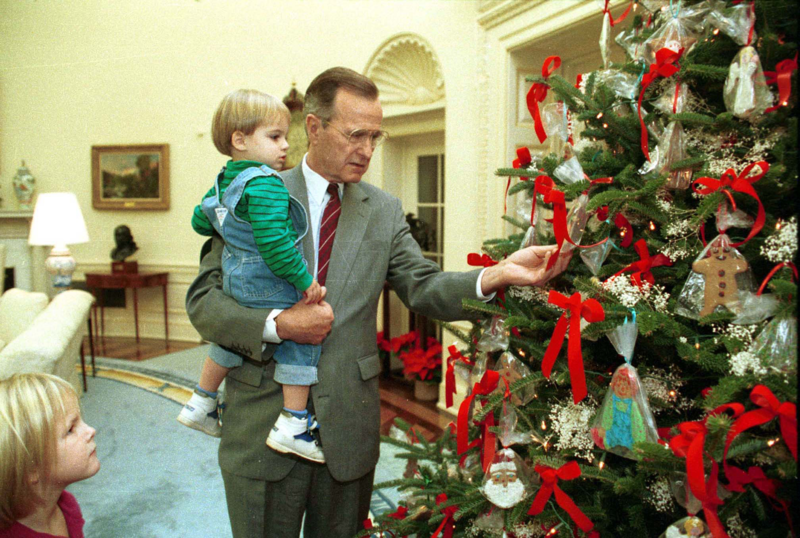 WASHINGTON, December 3, 2018 — The National Archives and Records Administration will take part in a national day of mourning for George Herbert Walker Bush, the 41st President of the United States, who died on November 30 at the age of 94. President Donald Trump declared December 5, 2018, as a National Day of Mourning, In his Presidential Proclamation issued on December 1, 2018. “I call on the American people to assemble on that day in their respective places of worship, there to pay homage to the memory of President George H.W. Bush,” Trump said in the proclamation. All public programs and special events planned at National Archives facilities nationwide for December 5, will be rescheduled, and National Archives research facilities will be closed. The George Bush and the George W. Bush Presidential Library and Museums, which will also be closed, but the National Archives Museum in Washington, DC, and museums at the National Archives Presidential Libraries will be open to the public for normal visitor hours. 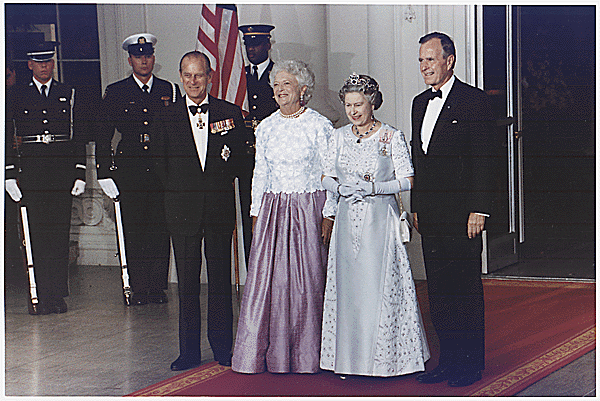 Archivist of the United States David S. Ferriero noted Bush’s lifetime of dedication to the country. 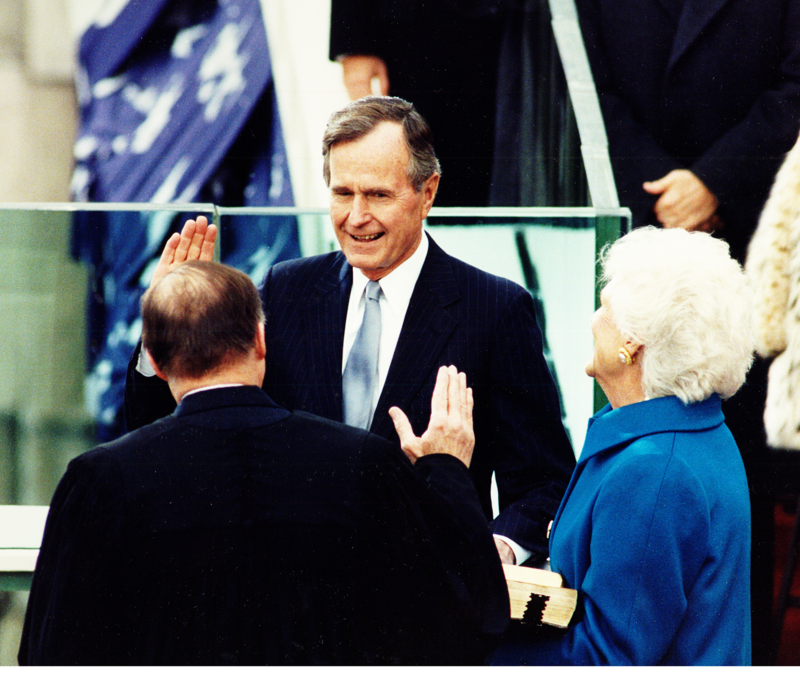 Bush’s Presidency capped a long career in public life, beginning in his adopted home state of Texas as a member of Congress in the late 1960s and ending in the White House after serving as Vice President for eight years. A son of former Connecticut Senator Prescott Bush, he put off his college studies and joined the U.S. Navy at the age of 18. He became one of its youngest aviators, and was shot down over the Pacific in 1944, then rescued by Navy ships. After the war, he married Barbara Pierce and moved his family to Texas, where he worked in the oil business before going into politics. He was elected to two terms in the U.S. House of Representatives from 1967 to 1971, but lost an election to the U.S. Senate in 1970. For the next few years, he held several offices in the Nixon and Ford administrations, including chairman of the Republican National Committee, U.S. Ambassador to China, U.S. Ambassador to the United Nations, and Director of the Central Intelligence Agency. Bush was a candidate for President in 1980, then after losing the Republican nomination to Ronald Reagan, was chosen by Reagan as his running mate, and the Reagan-Bush ticket defeated the Democratic ticket in a landslide. 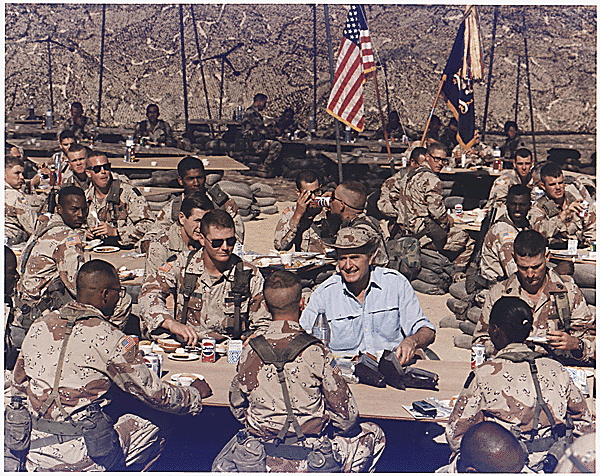 In 1988, Bush ran for and won the Republican nomination for President and became the first sitting Vice President to be elected President since Martin Van Buren in 1836. He defeated Democrat Michael Dukakis, then was defeated himself four years later by Bill Clinton. 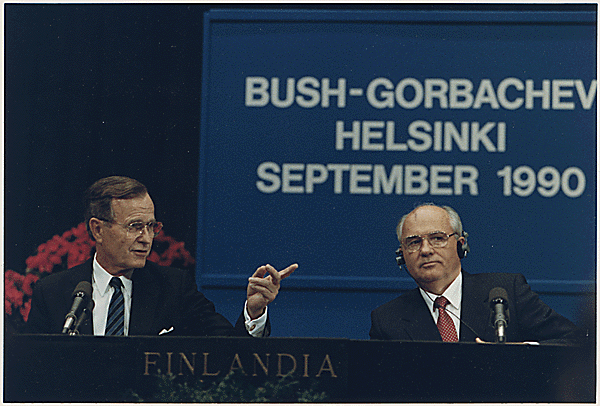 Bush’s Presidency was marked by the end of the Cold War with the dismantling of the Berlin Wall and the dissolution of the Soviet Union as well as the first Gulf War and the defeat of Saddam Hussein of Iraq. 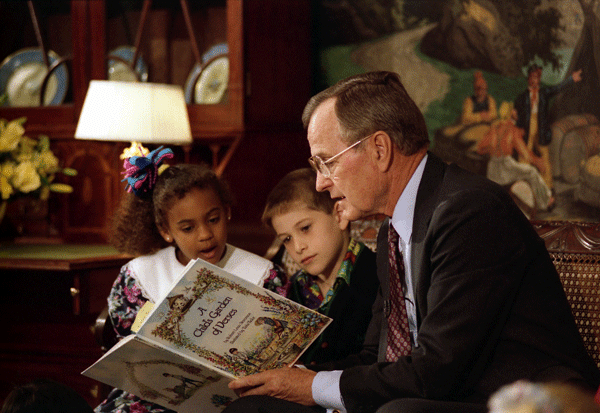 Bush was preceded in death by his wife, Barbara, earlier this year, and a daughter, Robin, who died as a child. 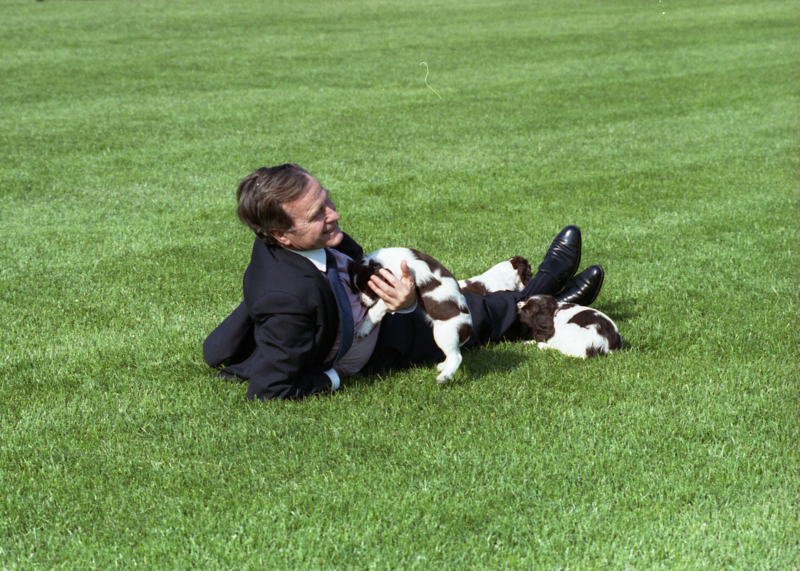 He leaves one daughter, Dorothy, and four sons, George W., the 43rd President of the United States; Jeb, a former Governor of Florida, Neil; and Marvin. He is the longest-lived President in U.S. history. 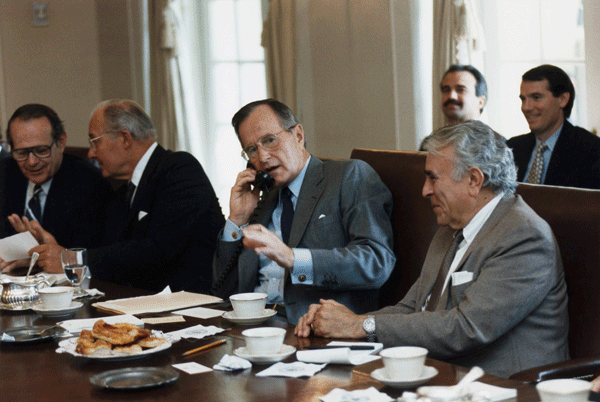 Obituary and funeral information are online at www.georgehwbush.com. 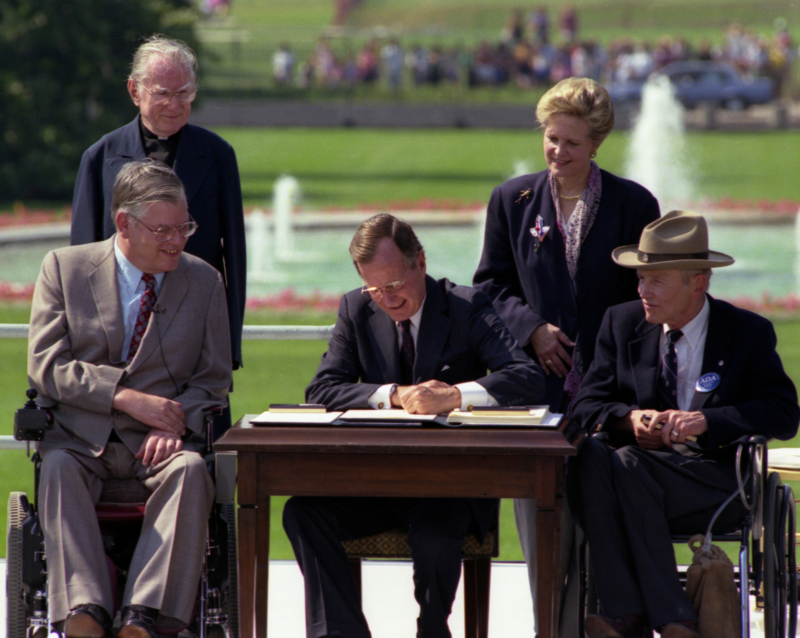 The Archivist of the United States writes about President Bush in his blog post, "Remembering President George Herbert Walker Bush." National Archives and Presidential Library research rooms will be closed on Wednesday, December 5, a National Day of Mourning. The George Bush Presidential Library and Museum and the George W. Bush Presidential Library and Museum will be closed. Other Presidential Library museums and the Rotunda for the Charters of Freedom and the museum at the National Archives Building will be open.